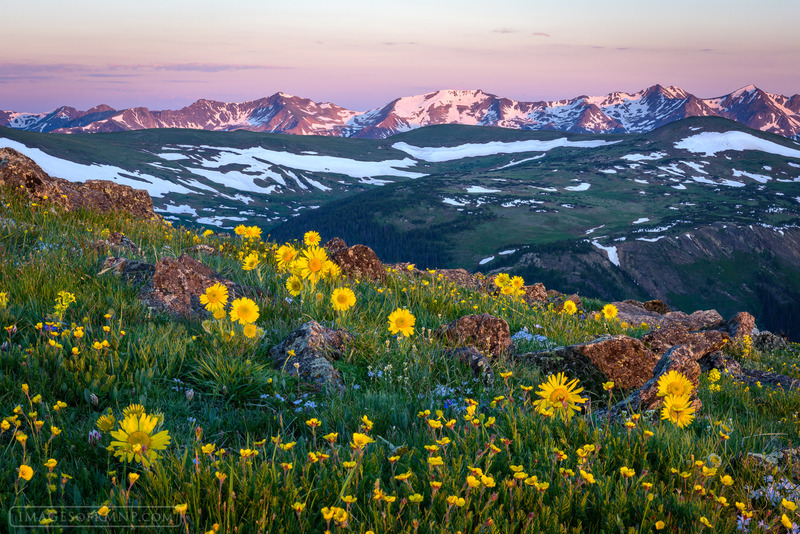 The tundra explodes with wildflowers in early summer in Rocky Mountain National Park as the Never Summer Mountains try to hold on to their remaining snow. This dynamic scene that reoccurs ever summer is simply stunning. It is as if the world can't help but break into song with the arrival of summer. Photo © copyright by Erik Stensland.